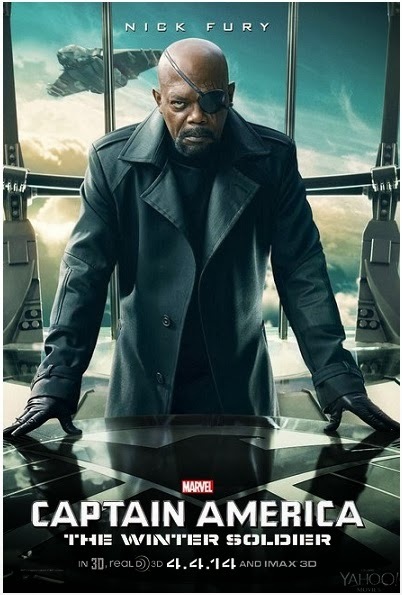 Your main treat for today are character posters for upcoming superhero sequel CAPTAIN AMERICA THE WINTER SOLDIER with Chris Evans in the title role, Scarlett Johansson as Black Widow and Samuel L. Jackson as Nick Fury! 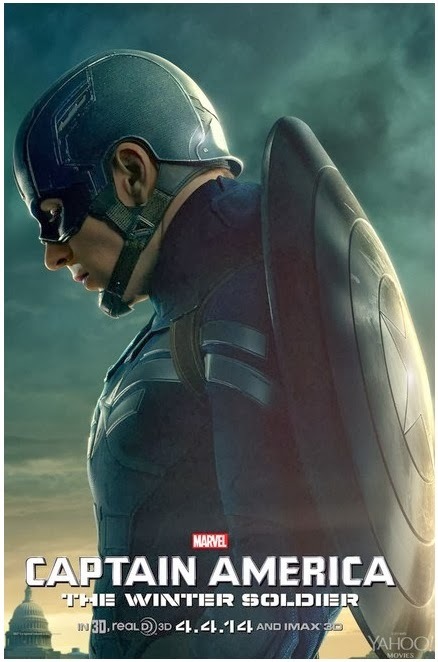 Flying into cinemas April 4th the movie finds Steve Rogers, a.k.a. Captain America, living quietly in Washington, D.C. and trying to adjust to the modern world. But when a S.H.I.E.L.D. colleague comes under attack, Steve becomes embroiled in a web of intrigue that threatens to put the world at risk. Joining forces with the Black Widow, Captain America struggles to expose the ever widening conspiracy while fighting off professional assassins sent to silence him at every turn. 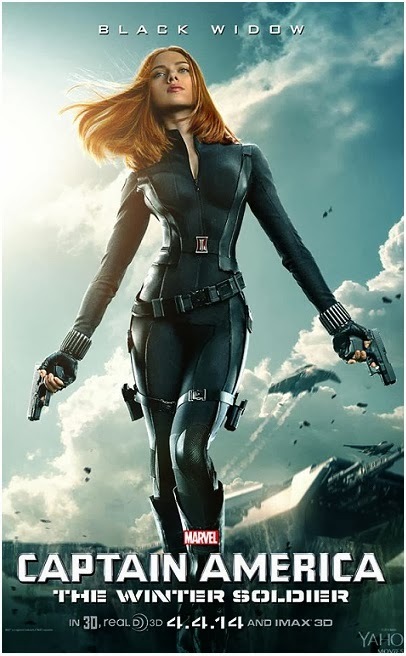 When the full scope of the villainous plot is revealed, Captain America and the Black Widow enlist the help of a new ally, the Falcon (Anthony Mackie). However, they soon find themselves up against an unexpected and formidable enemy—the Winter Soldier (Sebastian Stan)! In today's casting news, according to 'The Hollywood Reporter' always adorkable Topher Grace will take the lead role in supernatural thriller HOME next to Patricia Clarkson! He will play a man who was recently released from a mental institute. 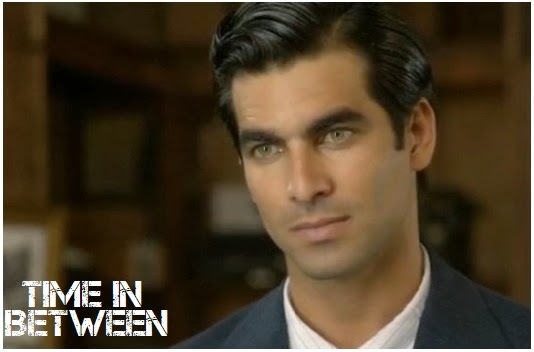 He inherits a mansion and after a series of disturbing events, he starts to believe it is haunted. Meanwhile, Chris Pratt has confirmed that he has a role in JURASSIC PARK new sequel JURASSIC WORLD which is scheduled for 2015! His role isn't known yet, but the film will be set on an island on which dinosaurs are kept and trained for the entertainment of visitors. John Krasinski and Bruce Dallas Howard were also mentioned for the roles in the film which will also include underwater dinosaurs and tones of new species. 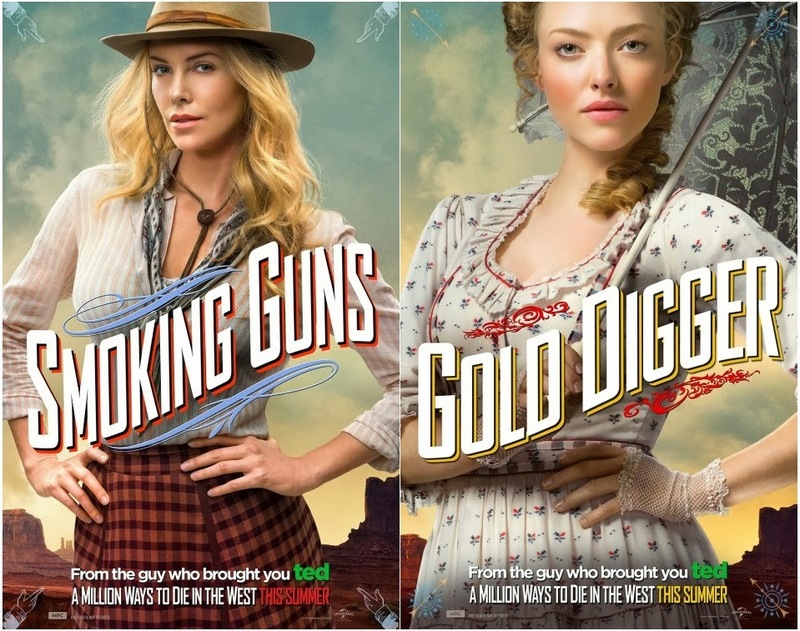 When you check out the below trailer for this summer's Wild West comedy A MILLION WAYS TO DIE IN THE WEST you might ask yourself what on Earth are actors such as Charlize Theron, Liam Neeson and Amanda Seyfried doing in a deeply offensive, brutally rude, gory and almost infantile comedy movie, but don't ask me I don't know the answer! 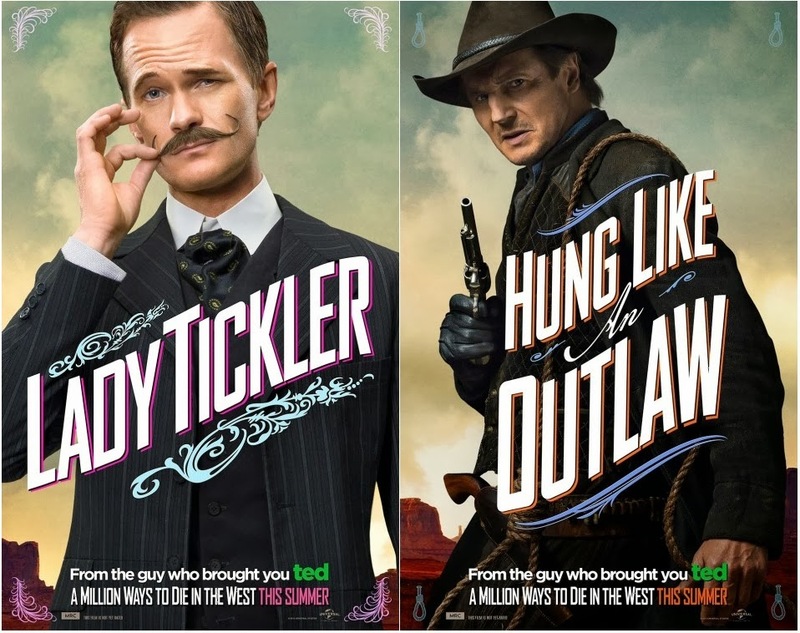 Ready to ride into theatres this May, the movie also stars Seth MacFarlane who also directs and writes the movie. 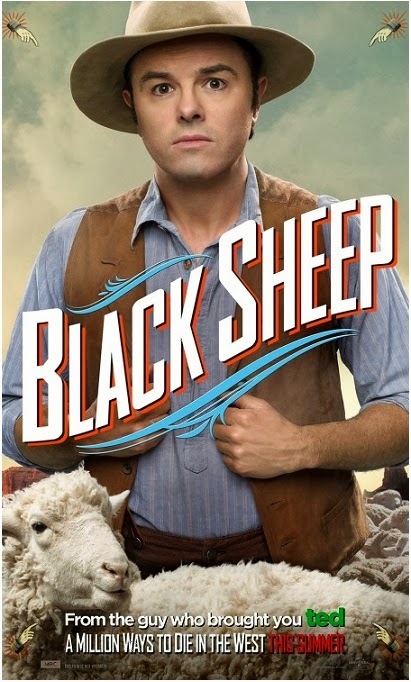 Neil Patrick Harris, Giovanni Ribisi, Mila Kunis and Sarah Silverman also star in the comedy which tells the story of a craven sheep farmer (Seth MacFarlane) who finds himself single and shamed when his girlfriend (Amanda Seyfried) leaves him for wimping out of a gunfight. Before long, though, he meets a new woman (Charlize Theron), who teaches him how to shoot and helps him find his courage and confidence, which he will soon need because her husband and infamous criminal (Liam Neeson) is riding into town, and he’s demanding a payback. Here's a truly beautiful story for you: 'Deadline' reports that M. Night Shyamalan and Bruce Willis will team up again on LABOUR OF LOVE in which Willis will play a Philadelphia book store owner who loses the love of his life in a tragic accident. Never big on words, he becomes haunted by the notion that he never properly told his wife how much he loved her. Since she once asked if he would walk across the country for her, he decides to show her posthumously just how much he did love her. That trek starts from Philadelphia to Pacifica, CA, which was her favorite place. In TV news today: I mentioned TNT's new series AGENT X only yesterday and now we already have the male lead to join Sharon Stone! Jeff Hephner from CHICAGO FIRE is the new member of the cast. The show will revolve around America’s first female Vice President, Natalie Maccabee (Sharon Stone) with Hephner taking the role of John Case a.k.a. Agent X, a 39-year-old secret agent who’s called into action by the newly arrived VP when the daughter of the FBI Director is kidnapped. 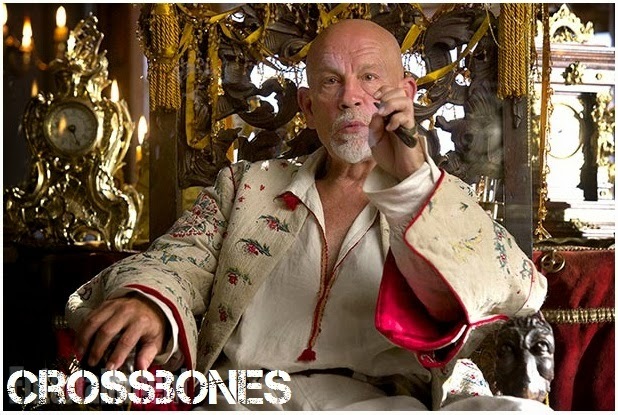 And you can also check out the first picture of John Malkovich as Captain Blackbeard in CROSSBONES series coming to NBC this spring. 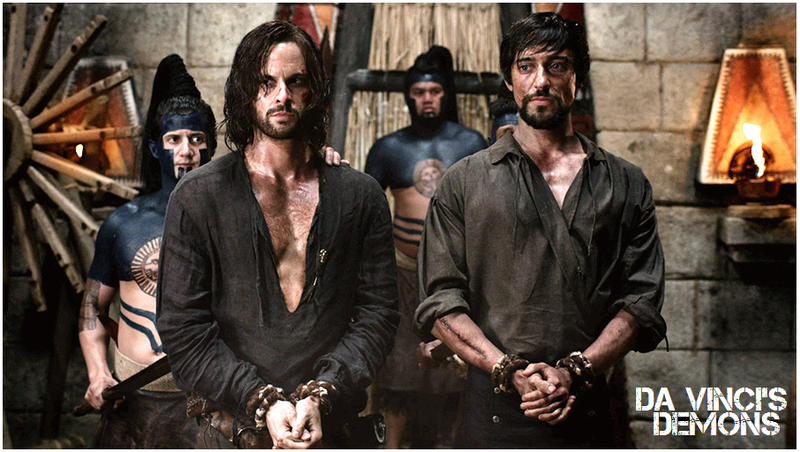 Set in the same 1715 year as BLACK SAILS over at Starz, CROSSBONES will follow assassin Tom Lowe (Richard Coyle) who is sent undercover by the government to bring pirate leader Blackbeard down. But like many a clandestine agent, Lowe soon finds himself being drawn deeper and deeper into his world and even becomes sympathetic to the scoundrel’s political ideals. Another touching story will be seen in ITHACA, a directorial debut of Meg Ryan in which her and Dennis Quaid's son Jack Quaid will play the lead role next to Sam Shepard and Melanie Griffith.To be produced by Tom Hanks it will be set in 1942 in a small town in California where 14-year-old Homer Macauley is determined to be the best and fastest bicycle telegraph messenger anyone has ever seen. His older brother has gone to war, leaving Homer to look after his widowed mother, his older sister and his 4-year-old brother. As spring turns to summer, Homer delivers messages of love, hope, pain and death to the good people of Ithaca. He’ll also struggle with one message that will change him forever. In our favourite genre of epic movies, 'Deadline' is bringing us a lovely piece of info: Guy Ritchie will apparently direct a new historical movie on KING ARTHUR, a fantasy retelling of the famous medieval legend to be produced by Akiva Goldsman, planned as a historical franchise with six potential movies! The script for the first one has already been written by Joby Harold (EDGE OF TOMORROW). You probably recall that Warner Bros. was trying to launch ARTHUR AND LANCELOT project last year with Joel Kinnaman, Kit Harington, Gary Oldman and Colin Farrell being mentioned for the roles, but that project was shelved because it was deemed too expensive with the budget of $130 million. Guy Ritchie is currently finishing MAN FROM UNCLE for Warner Bros. with Henry Cavill and Armie Hammer. 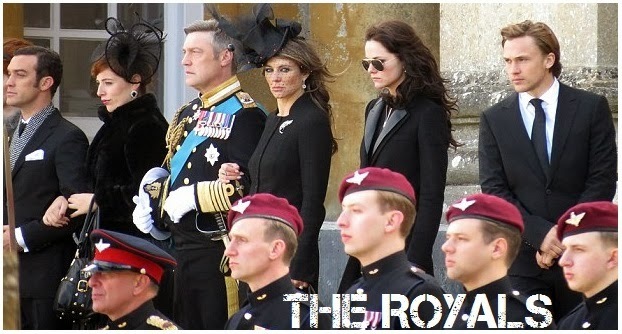 WITH ELIZABETH HURLEY, WILLIAM MOSELEY, VINCENT REGAN! Here's something we've been waiting for anxiously: the first pictures from the set of E! first scripted TV series THE ROYALS showing gorgeous Elizabeth Hurley and Vincent Regan as Helena and Simon, the king and the queen of a fictional modern kingdom in the show which will follow the palace intrigues. In the second picture you can also catch a glimpse of CHRONICLES OF NARNIA star William Moseley who plays their son, prince Liam who takes over the role of the heir to the throne after his older brother dies in an accident (the pictures could actually be from his funeral). 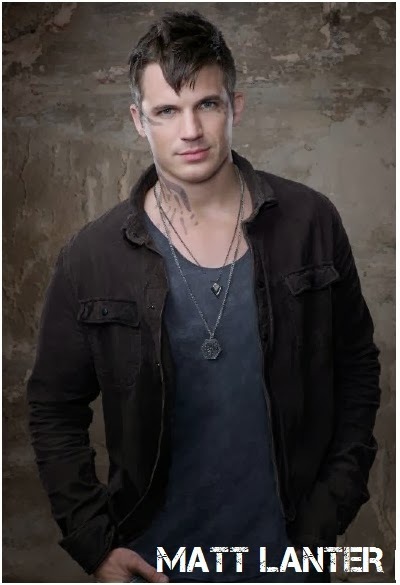 In other TV news today, CW has unveiled first character pictures from their new science fiction series STAR CROSSED which should arrive to the small screens with its first episode February 17th! 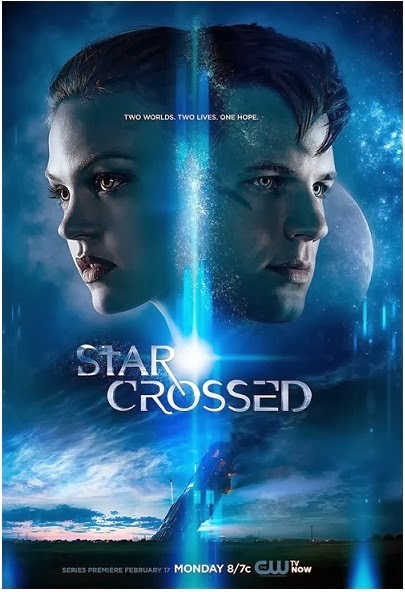 The new show will be a kind of a futuristic Romeo and Juliet with Matt Lanter and Aimee Teegarden portraying a pair of "star-crossed" lovers - one human, one alien - who go to a high school together. Ten years after aliens Atrians had crashed on Earth and warred with humans they've acclimatized themselves to Earth and now some of the young aliens are sent to a human high school to test the feasibility of their integration. The eyes of the nation and the whole world are fixed on this historical social experiment, an endeavour fraught with suspicion and fear. With the start of BLACK SAILS, spring launch of OUTLANDER, and the upcoming second season of DA VINCI'S DEMONS, Starz is also preparing FLESH AND BONE drama set in the world of ballet. 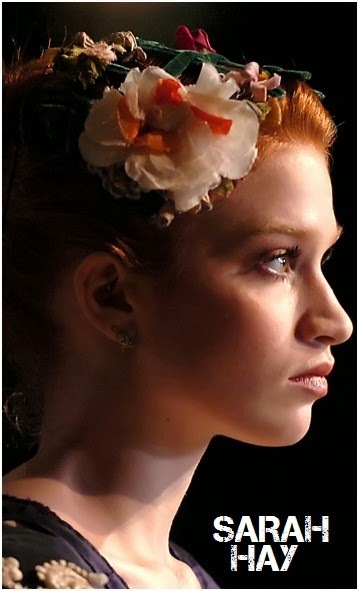 Professional dancer Sarah Hay (BLACK SWAN) will take the lead role of a young ballet dancer, Claire, who has a distinctly troubled past, as she joins a prestigious ballet arabesque photo company in New York. The dark and gritty series will unflinchingly explore the dysfunction and glamour of the ballet world. Accomplished dancers will be seen in supporting roles as well: former American Ballet Theatre principal dancer Irina Dvorovenko, current American Ballet Theatre soloist Sascha Radetsky, Ballet Arizona company dancer Raychel Diane Weiner, and Emily Tyra. The production team will also include world's leading choreographers and composers. In today's TV news Mira Sorvino has joined James Frain, John Simm in new BBC America series INTRUDERS, which, based on Michael Marshall Smith's novel, will follow a secret society that chases immortality by taking over the bodies of other humans. It will centre on an ex-cop Jack Whalen (Simm) living a quiet life with his wife Amy (Sorvino), who suddenly disappears. 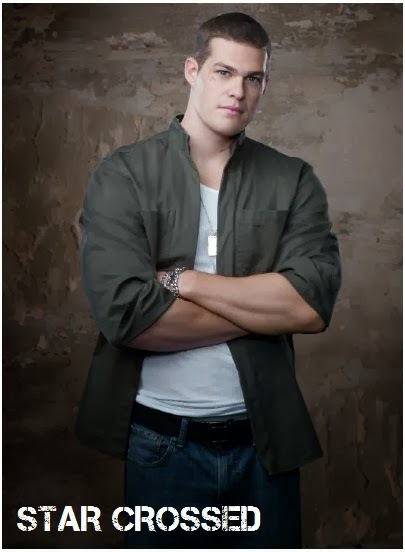 The trauma leads Jack to start an investigation that forces him to confront his past. We've been waiting for quite a long time to get the first trailer for truly beautiful, inspiring and intriguing drama A LONG WAY DOWN and now it is finally here! Rather stellar cast, including Toni Collette, Pierce Brosnan, Aaron Paul and Imogen Poots, plays four different people who unexpectedly meet at New Year's Eve on top of a London skyscraper where they all wanted to commit a suicide. Based on a Nick Hornby's novel the film revolves on the chance encounter where the four - a disgraced chat show host, a single mother, a failed musician and a troubled teenager respectively - foil each other's attempts to commit suicide in solitude. After making a pact to postpone their suicides until Valentine's Day, they begin to form a surrogate family! Sam Neill and Rosamund Pike also star in the film which opens up in cinemas this March. 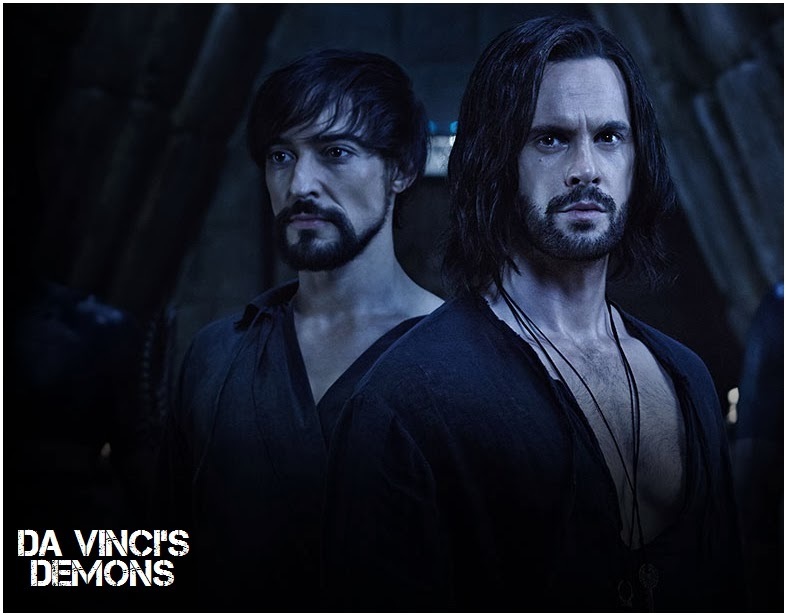 Are you ready for the return of Starz worldwide hit series DA VINCI'S DEMONS which comes back to the small screens March 22nd for its second year run? 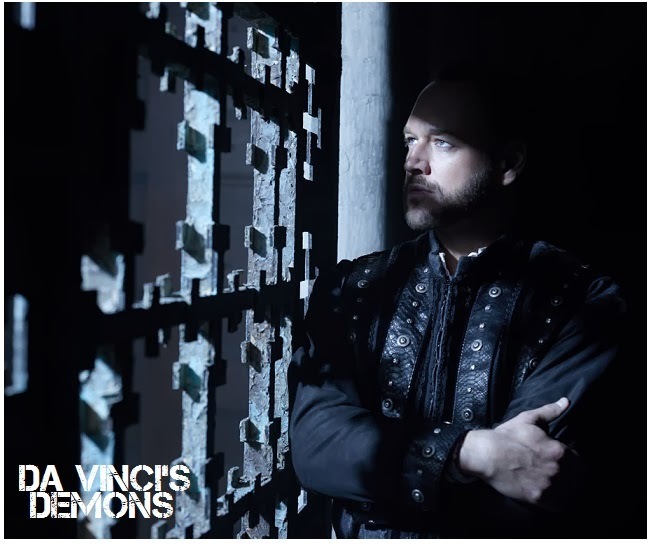 Today you can check out exciting new trailer and some new pictures for the new season of the David S. Goyer's show which brings the secret history of Leonardo da Vinci, a man tortured by genius and yearning to seek the truth. The second season expands Da Vinci's world greatly, since beside Florence, the story will also take the great genius and his friends over to South America! Ten new episodes will air in more than 125 countries around the planet. 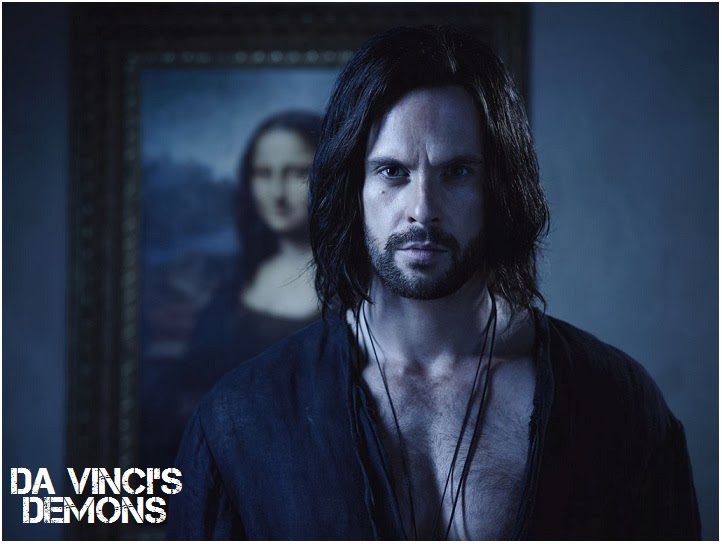 Florence is thrown into the chaos in the wake of the Pazzi conspiracy, Lorenzo (Elliot Cowan) is ill, and Leonardo (Tom Riley) must push the limits of his mind and body to defend the city from the evil forces of Rome. When the dust settles friends are buried and rivalries inflamed. While the Medicis go to unthinkable lengths to deal with new threats, da Vinci continues on with his quest to find the fabled Book of Leaves and uncover the secret history of his mother! He will come to realize that he has a lethal competition in his quest - new enemies who may be even worse than the forces of evil Pope Sixtus. His search will now take him to faraway lands and force him to reevaluate everything he knew about the world and his own history. 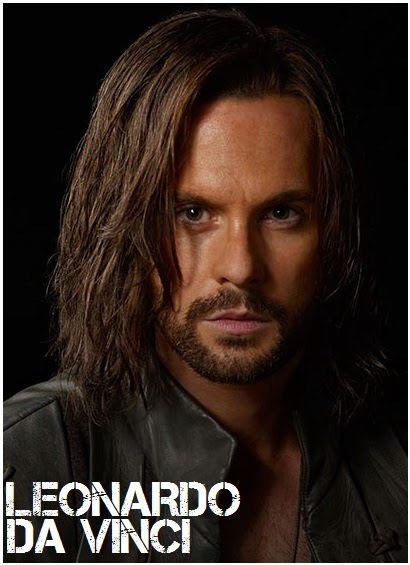 Leonardo da Vinci (Tom Riley) is a genius, unrelentingly driven to solve the world's mysteries. His quest will require him to make great sacrifices for Florence and those he loves. 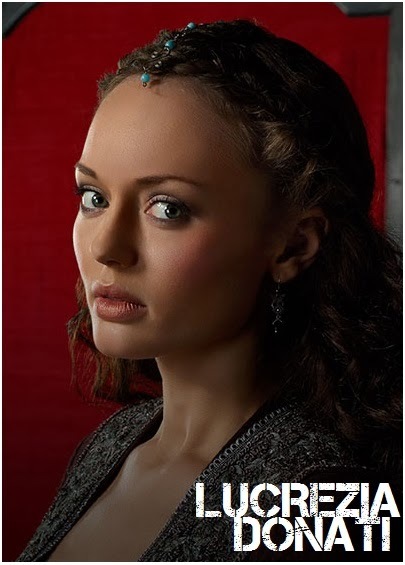 Lucrezia Donati (Laura Haddock) is ex lover of Lorenzo Medici and Florence's celebrated beauty whose personal quest for justice will take her far away from home. Fearless and manipulative, she will not rest until she has succeeded in protecting those she loves. 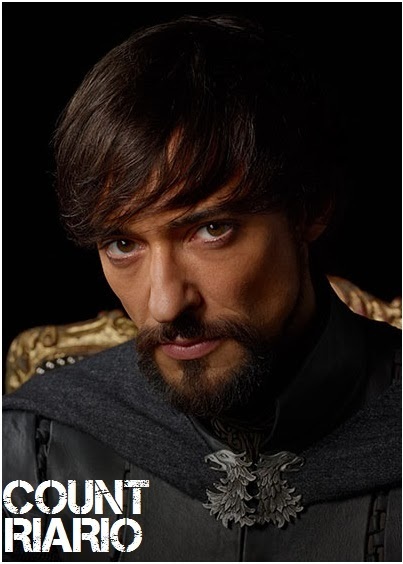 Count Riario (Blake Ritson) gladly led the mission to destroy the Medicis, but the siren call of the Book of Leaves shakes his resolve. His quest for the book is perilous taking him on a journey of discovery that threatens his all-consuming faith. 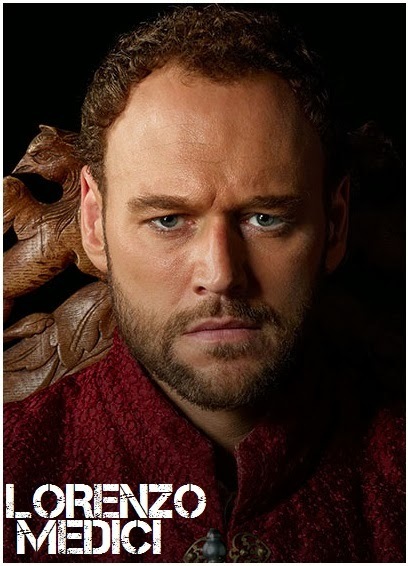 Lorenzo Medici (Elliot Cowan) is the de facto ruler of Florence, fervently loyal to his citizens! When the Republic is threatened he is forced to undertake a difficult journey and must confront past demons in order to bring about peace. 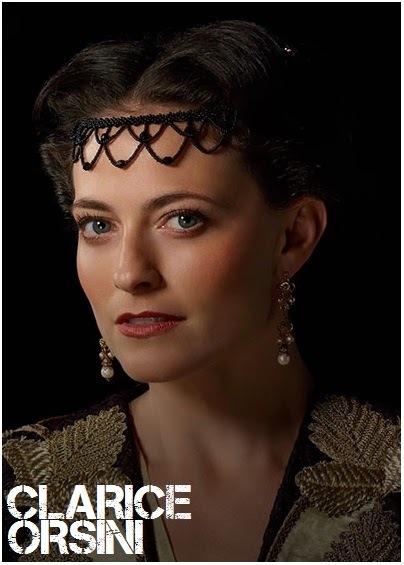 Clarice Orsini (Lara Pulver) is a devoted wife and successful, yet ruthless, leader. After Lorenzo's departure, she learns to rule in a world governed by men. This boldness serves her well, but with Lorenzo's imminent return, she may pay a price. 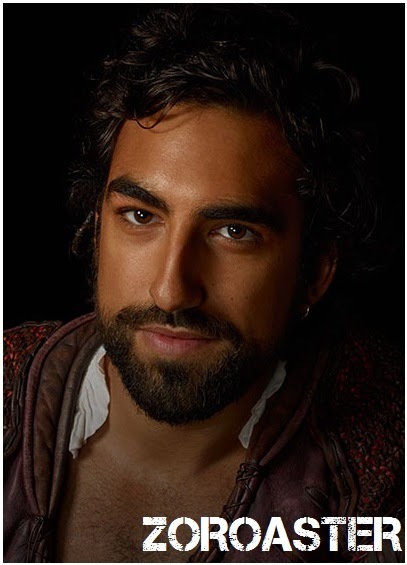 Zoroaster (Gregg Chillin) is a hustler and jack of underhanded trades, who never stops looking for an angle. Witty and charming he brightens the darkest moments of da Vinci's perilous journey while helping his friend in the new world. 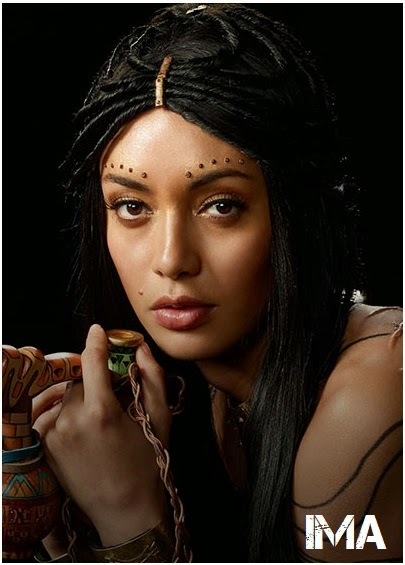 Ima (Carolina Guerra) is the Inca High Priestess, as strikingly beautiful as she is formidable! Ima holds a pull over her people than even the emperor, Topa Inca, doesn't posses! 2014 TV PILOT SEASON: NBC ORDERS NEW BILL COSBY FAMILY SITCOM & 'MONEY PIT' COMEDY! 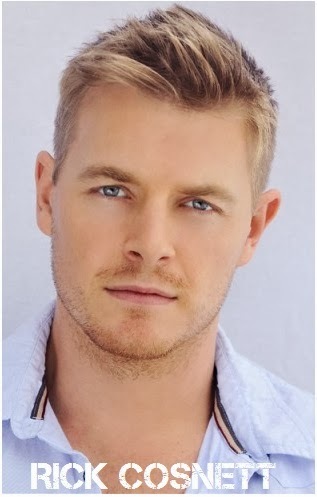 RICK COSNETT, DANIELLE PANABAKER IN CW'S 'THE FLASH'! 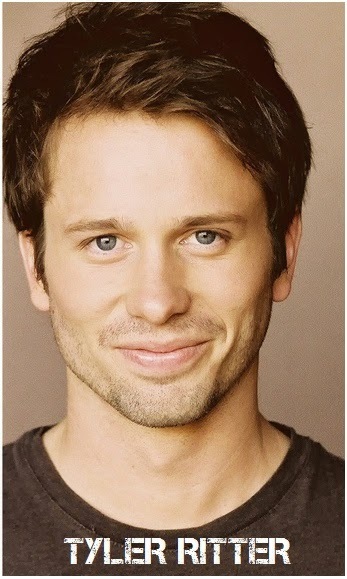 TYLER RITTER IN CBS' 'THE MCCARTHYS'! ROB LOWE IS 'THE PRO' AT NBC! It's a pilot season currently, people, the time when channels and networks order new series, shows and pilots for possible future ones, so today we're checking out some of the new purchases and orders: beginning with CW who already ordered a pilot for THE FLASH show, but now they have new cast members. The show will be an origin story of the famous red clad superhero with Grant Gustin playing Barry Allen aka The Flash, a Central City assistant police forensics investigator who arrives in Starling to look into a series of unexplained robberies that may have a connection to a tragedy in his past. 'Deadline' reports that Rick Cosnett and Danielle Panabaker have joined the cast as well: Cosnett (THE VAMPIRE DIARIES) will play detective Eddie Thawne, a recent transfer to the Central City Police Department, whose past is a mystery and who harbors a dark secret. Panabaker (SHARK) will play Caitlin Snow, a highly intelligent bioengineering expert who lost her fiancé during an explosion at S.T.A.R. Labs! NBC has meanwhile, ordered a sitcom based on the 80's movie comedy MONEY PIT which starred Tom Hanks and Shelley Long. The story of the new comedy pilot will centre on a newlywed couple that navigates the challenges of modern romance while their house crumbles around them. NBC will also see the return of Bill Cosby to TV! Envisioned as a warm comedy about a family in which parents love each other and kids respect their parents, the new sitcom will have Bill Cosby playing the patriarch of a multi generational family presenting his take on marriage and parenting. The channel will also return Rob Lowe to the small screens! Titled THE PRO the sitcom will have Lowe appearing as former tennis doubles champion “Big Ben” Bertrahm, whose career flame-out and misguided investments have left him working as the pro at a tennis and golf club, where he tries to hustle and charm his way back into America’s 1%. Over at CBS they are preparing comedy pilot for THE MCCARTHYS which will revolve around a big, sports-crazed Irish Catholic family in Boston and their gay son (to be played by Tyler Ritter, the son of late John Ritter) whose greatest sin is not his sexuality but his desire to spend less time with his family. Kelen Coleman will play his sister and also his room-mate. Jimmy Dunn will be the dim and a little chubby Sean McCarthy, who lives in an attic room off of his brother Gerard’s third-floor apartment. Laurie Metcalfe will play the clan’s loving mother who has no filter and loves having her gay son keep her company when her husband (Jack McGee) and other kids are off coaching basketball games. The latest one to join the third instalment of the NIGHT AT THE MUSEUM comedy movies is Ben Kingsley. He will play an Egyptian Pharaoh on display in a British museum, who comes to life through a magical table! Ben Stiller is again in the lead role, but unlike the previous two films which were set in New York and Washington, this one will be set over in London. Meanwhile, Robin Williams, Dan Stevens, Ricky Gervais and Rebel Wilson will all star as well. 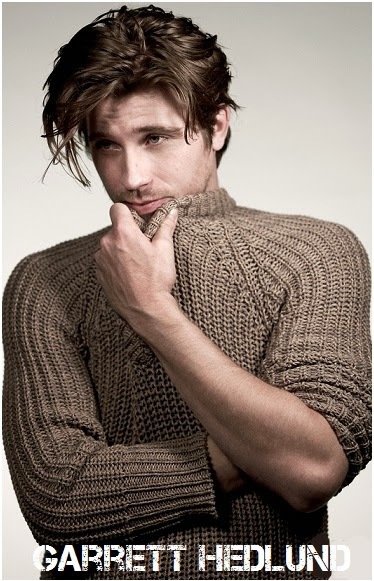 Robin will again be Teddy Roosevelt, Jervais will return to the role of Dr. McPhee, while DOWNTON ABBEY's star Dan Stevens will be the villain playing Sir Lancelot of the round table in Camelot. 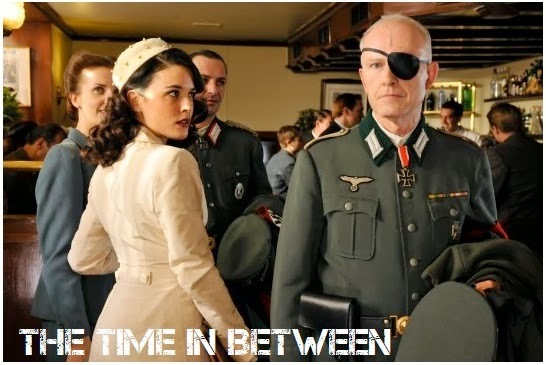 And here's something international: Spanish mini series THE TIME IN BETWEEN which broke records over in Spain and is about to be sold to many other countries around the world. 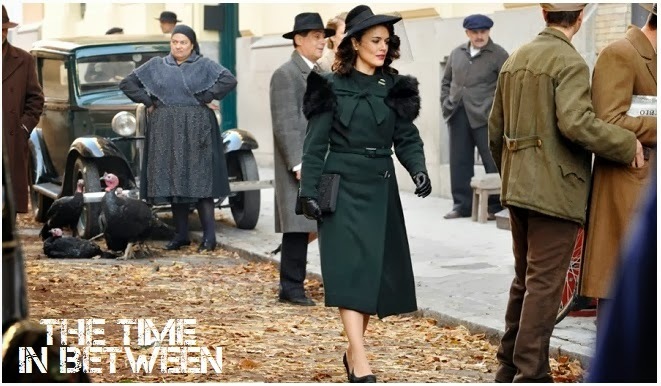 Told in 11 episodes, the story is set during the Spanish Civil War and the run-up to World War II following a woman raised by a poor single mother and taught to be a seamstress. When she falls for a handsome young man, she moves with him to Morocco and spends months living the high life. But when the money runs out and she falls pregnant, he leaves. She ultimately builds a new life and becomes the most sought-after couture designer for the socialite wives of German Nazi officers. She also begins working for the British government, passing information to the Secret Service. 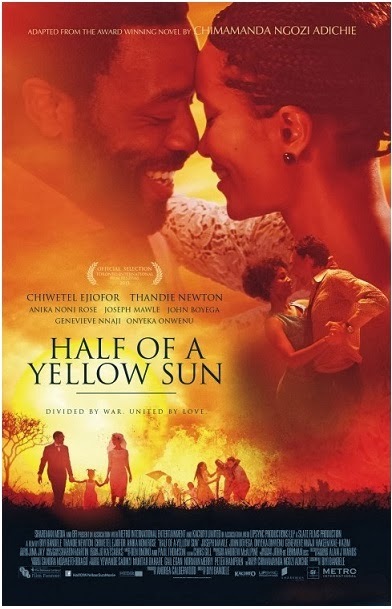 Check out the new poster and a trailer for upcoming African war drama HALF OF A YELLOW SUN starring award winning stars Thandie Newton and Chiwetel Ejiofor. The big screen adaptation of a Nigerian novel is a drama that brings together the lives of four people during the struggle to establish an independent republic in Nigeria. In the focus of the story are two different sisters, Olanna and Kainene (Thandie Newton and Anika Noni Rose), and their lovers (Chiwetel and Joseph Mawle) trying to save their lives during the Biafran War in the late 1960s. Earlier last December I informed you that Hugh Jackman will put on a black beard in order to portray the infamous Captain Blackbeard (the role originally meant for Javier Bardem) in Warner Bros' new movie adaptation of Peter PAN, to be directed by Joe Wright (ANNA KARENINA, ATONEMENT), and now rumour has it that Garrett Hedlund has been offered the role of Captain Hook himself. Scheduled for June 2015 the movie follows the young orphan Peter Pan, who is taken to Neverland for the first time, as he leads the locals in a rebellion against the pirates. Captain Hook starts out as an ally to Peter Pan before turning to his villainous ways. In TV news today, the mini series adaptation of ROSEMARY'S BABY which will have Zoe Saldana in the lead role has just signed Patrick J.Adams and Jason Isaacs for lead male roles. The story centres on Rosemary Woodhouse (Saldana), a young wife and would-be mother who, with her husband Guy (Adams), moves into a Paris apartment that has a dark past. After finally getting pregnant, she becomes increasingly suspicious that both her husband and their mysterious neighbors have ulterior motives about the future of her child. 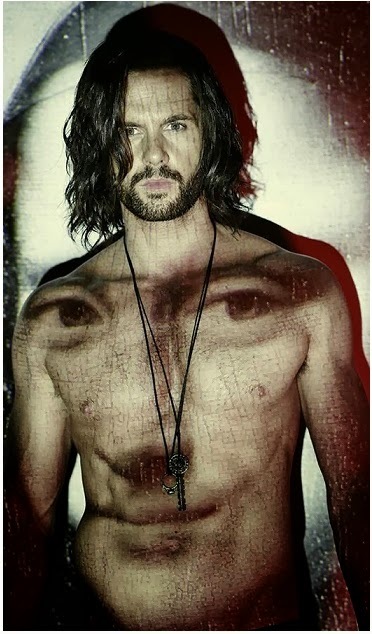 Isaacs will play warlock and coven-leader Roman Castevet! Meanwhile, NBC has gave a 10 episodes series order to EMERALD CITY, a modern and dark reimagining of the classic tale of Oz in the vein of Game Of Thrones, drawing upon stories from Baum’s original 14 books that include lethal warriors, competing kingdoms, and the infamous wizard. 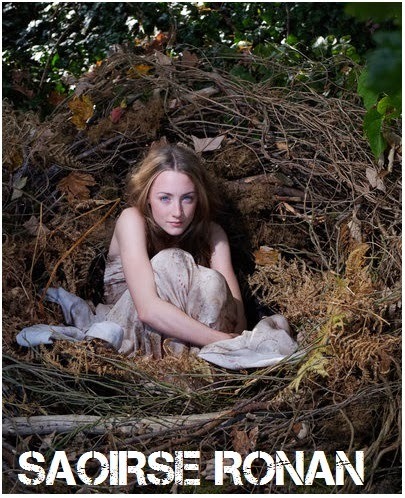 A head-strong 20-year-old Dorothy Gale is unwittingly sent on an eye-opening journey that thrusts her into the centre of an epic battle for the control of Oz. 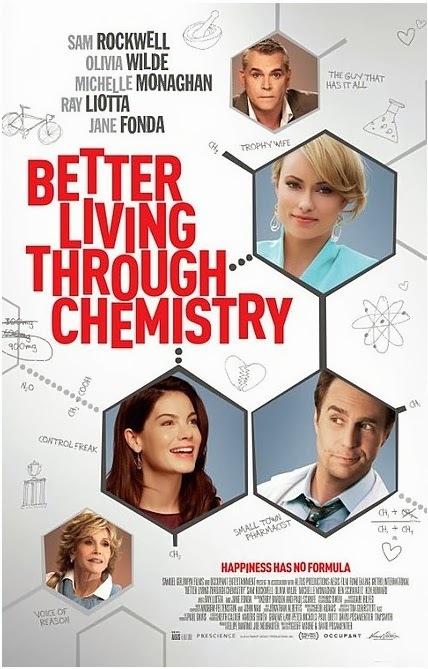 In the video department today, check out the first trailer for new comedy drama BETTER LIVING THROUGH CHEMISTRY which will hit cinemas near you this March starring Olivia Wilde, Sam Rockwell, Jane Fonda, Michelle Monaghan, Ray Liotta and Ben Schwartz. The story follows a small town pharmacist (Rockwell) whose uneventful life turns into a walk on the wild side when he embarks on a drug-and-alcohol fuelled affair with a seductive customer (Wilde) in this murderously funny dark comedy! WITH AARON PAUL & LIAM NEESON? Some projects never seem to die and fade away: just when we thought that Ron Howard's mammoth movie and TV adaptation of Stephen King's THE DARK TOWER was shelved and left in the past, the project is now again revived with the plan for the movie to be shot for $60 million and with Netflix possibly producing the TV series which would follow the movie. And Ron already has possible casting choices: apparently Aaron Paul has already auditioned for the role of Eddie Dean, while Liam Neeson is interested in playing the lead role of gunslinger Roland Deschain who wanders around a futuristic wasteland in search of THE DARK TOWER and in his epic quest to save the world. Universal has previously dropped the project which was supposed to cost hundreds of millions with three films and two seasons of a TV show in between with Javier Bardem and Russell Crowe being mentioned for the roles back then. 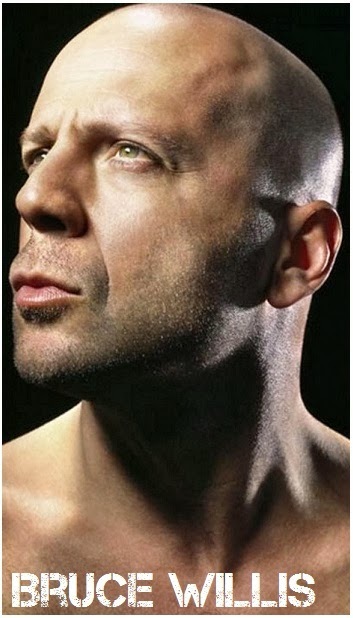 In other action movie news today, according to 'Deadline' Bruce Willis has taken the lead role in sf action thriller VICE in which the story is set in a futuristic city where humans can live out their fantasies with androids at a resort known as Vice. The plot thickens when one robot (to be played by Ambyr Childers) becomes self-aware, threatening to destroy this lurid organization. 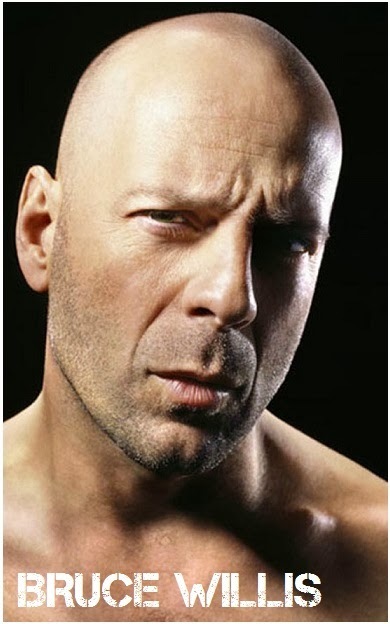 Bruce Willis will be portraying Julian, who owns the Vice resort. The production should begin in March after they find actors for supporting roles and a director. And this is also exciting. We all thought that the idea of rebooting THE FANTASTIC FOUR, which back in the 2005, already had a great cast including Chris Evans, Ioan Gruffudd and Jessica Alba, is a bad one, but with the news on GAME OF THRONES leading boys auditioning for the lead role you may colour me interested. 'Variety' reveals that Richard Madden and Kit Harington, together with Miles Teller, will do screen tests for the role of Reed Richards or Mr. Fantastic later this month. Meanwhile, Saoirse Ronan and Kate Mara might audition for the role of Sue Storm, while Michael B. Jordan is attached to play Johnny Storm. The movie is already scheduled for June 2015!